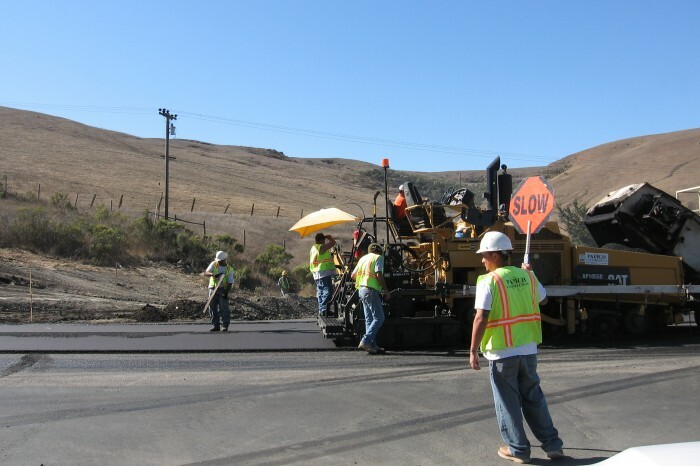 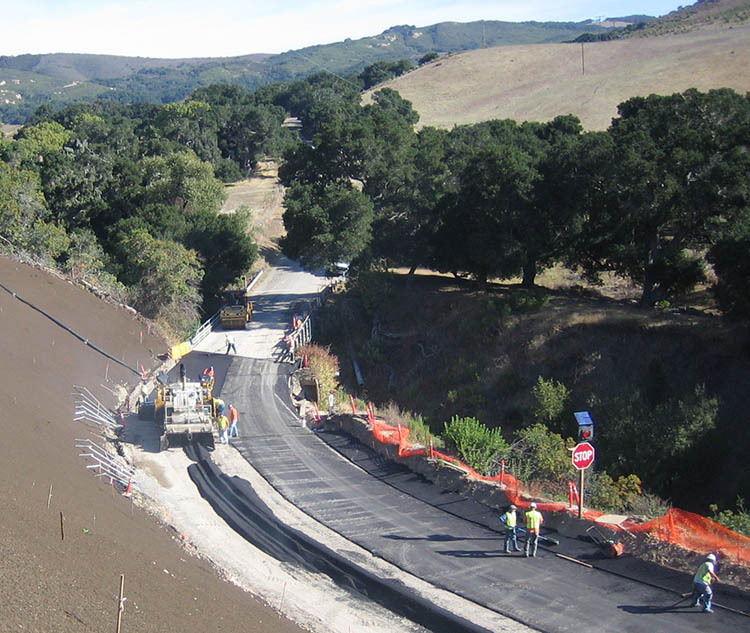 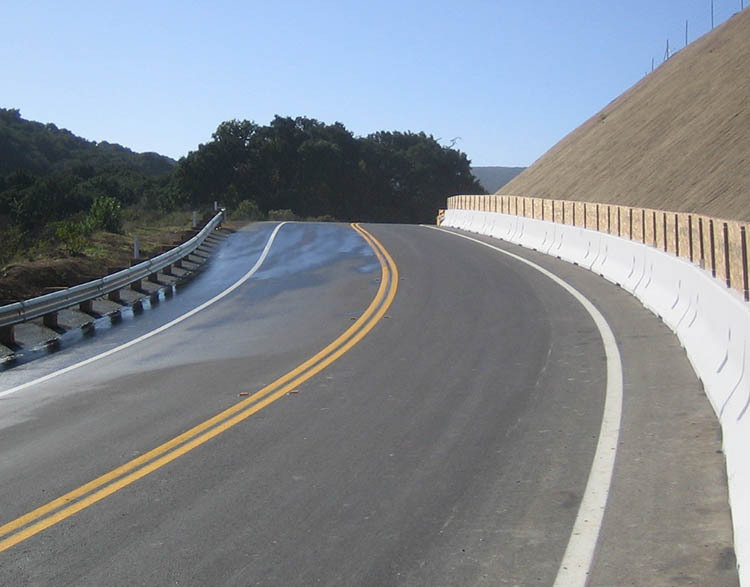 This project located on Jalama Road, was contracted through the County of Santa Barbara and took six months to build. 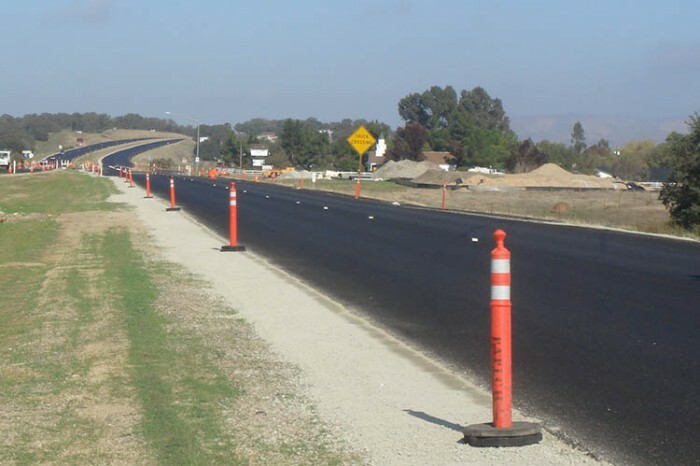 The projects intent was to correct the super-elevation thereby reducing vehicle accidents, and to fix damage imposed from recent storms. 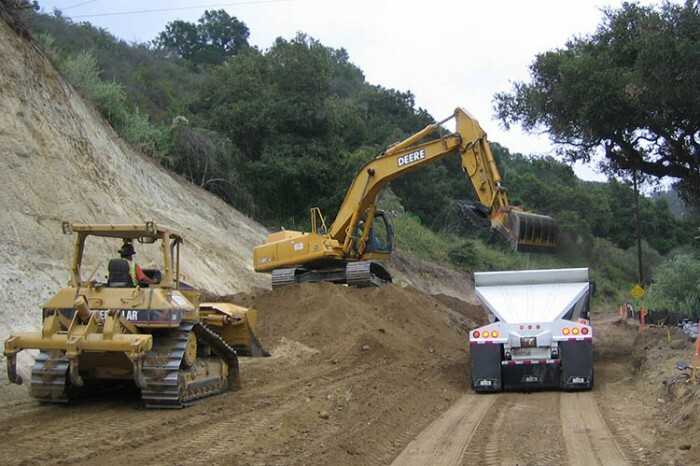 Papich Construction exported 34,000 cubic yards of dirt, and completely removed the road in order to build it to the new design. 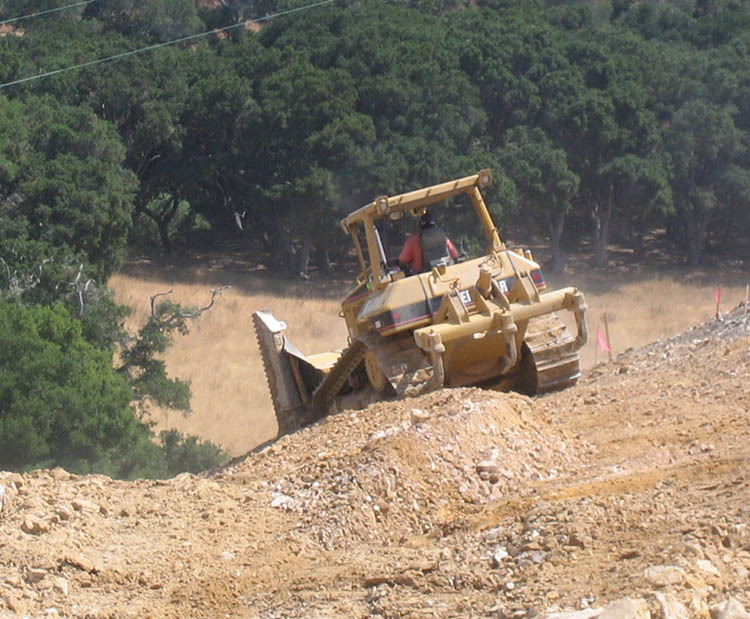 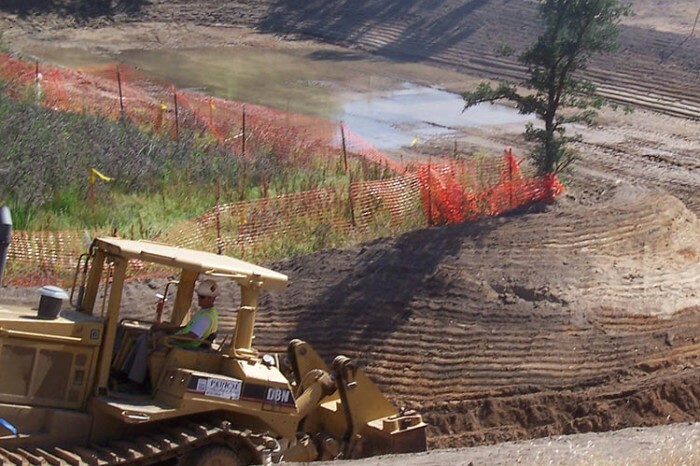 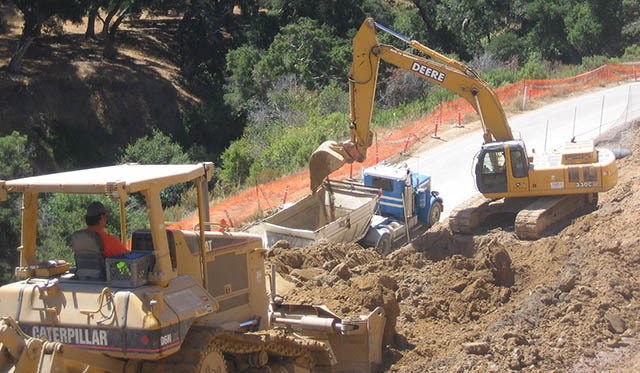 In order to prevent the cut-slope from eroding in the future, we drilled and installed 16 horizontal drains into the hill to grab groundwater and channel it to the creek. 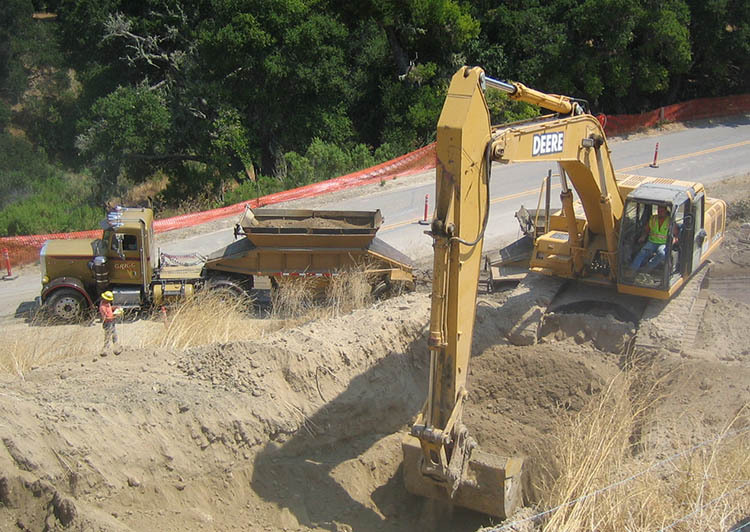 The last phases of this project entailed building a structural slab under the roadway that was cantilevered over a washout, in order to support the full lane of traffic in mid air.